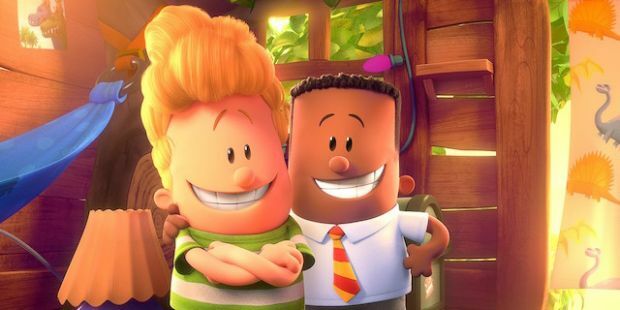 In the animated big screen movie Captain Underpants, George Beard (Kevin Hart) and Harold Hutchins (Thomas Middleditch) are best friends who spend their days creating comic books and dreaming up pranks. One day they accidentally hypnotize their school principal into believing that he is Captain Underpants (Ed Helms), a dimwitted super hero whose costume consists of underwear and a cape. 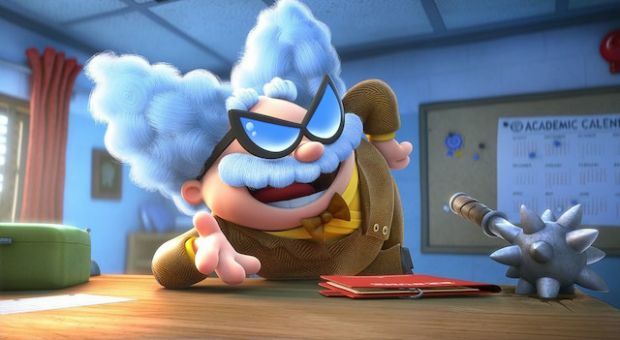 As if this isn’t bad enough, their newest teacher is a disgraced evil scientist, Professor Poopypants (Nick Kroll) bent on exacting his revenge at their school. George, Harold and Captain Underpants must band together to thwart his evil agenda.